Includes 1 Shurflo strainer with male / female 1/2″ BSP inlet and outlet, 2 1/2″ barbed hose tail fittings and 2 stainless steel hose clamps. 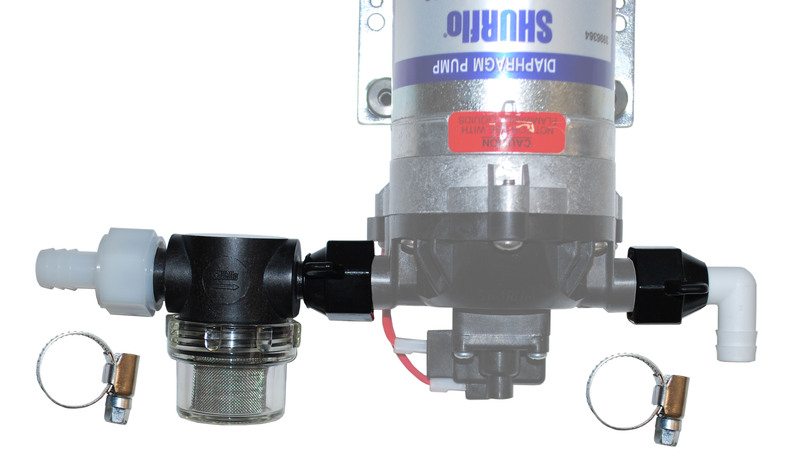 Suitable for our standard Shurflo pump with 1/2″ male BSP ports. Image for illustration only – pump not included.